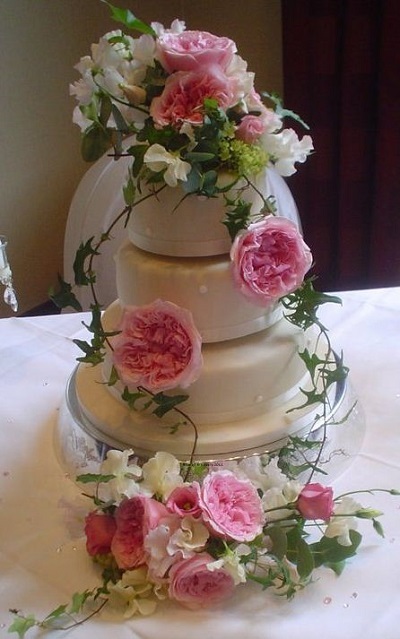 Wedding Cake Flowers By Moonstones Florist, Fareham. 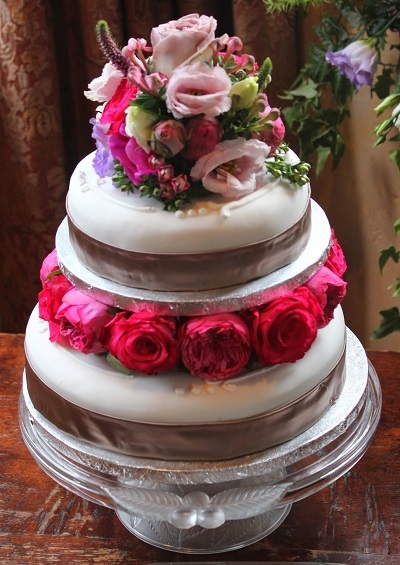 It is common when choosing a wedding cake to match it up with your wedding colour, theme or wedding style. 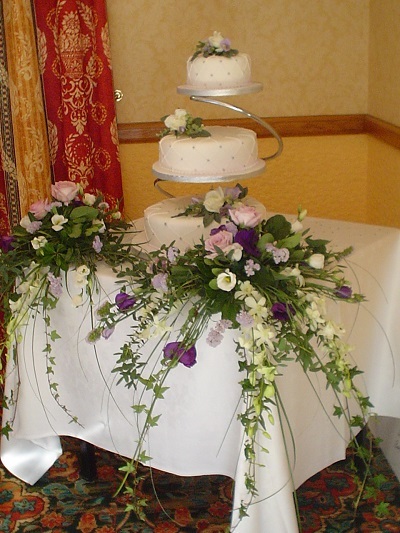 One of the most striking and cost effective ways of achieving this is with a floral display co-ordinated with your wedding theme. 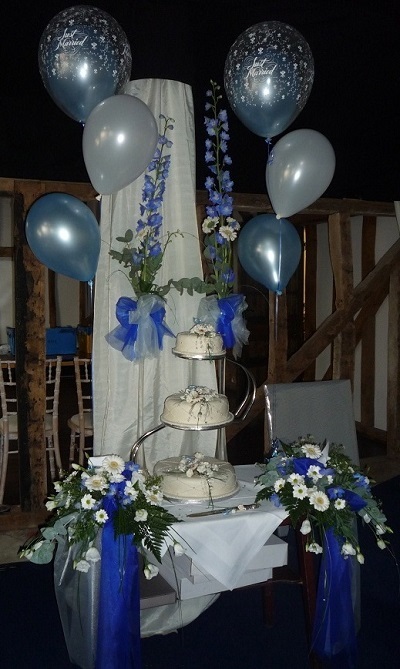 Whether it be a single cake topper, individual arrangements for each tier, a long trailing arrangement linking the tiers or individual arrangements for smaller cakes, Moonstones can create a stunning arrangement or arrangements that will make even the plainest of cakes look sensational.